– Place a tortilla on flat surface. 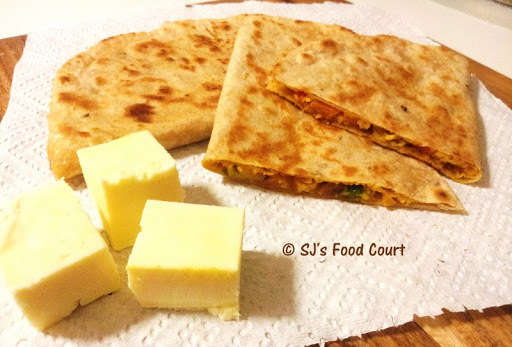 – Spread 1/2 cup of Paneer Bhurji on half part of tortilla. – Sprinkle grated cheese on top and fold it into half. – Roast on a flat pan with a few drops of oil (or cooking spray). – Repeat the same process for making rest of all quesadillas. Happy to know that you liked my blog. You have a nice space here. Happily following you. Keep up your good work. Lovely space ! Nice to follow you back.. This is such a creative recipe and a fusion one. Crazy things are created when we are looking for a late night snack. 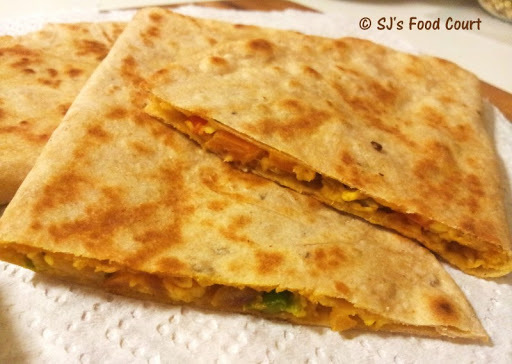 These can be perfectly taken in our lunch boxes too. Will try it for sure. Thank you so much for sharing it with us and sending in as an entry to our event.